Bobrovsky, who has been out since Dec. 3 with a groin injury, could start Saturday after going 1-3-0 with a 2.51 goals-against average last season against St. Louis during his Vezina Trophy-winning campaign. The St. Louis Blues are 7-0-0 at home against Eastern Conference foes as they welcome a former division rival to town. The Columbus Blue Jackets could have Sergei Bobrovsky back in goal Saturday night when they try to end the Blues’ four-game win streak. St. Louis (28-7-5) has yet to lose versus the East on home ice, where it has gone 15-2-1 against Columbus (18-19-4) with a stunning 32.9 power-play percentage since 2006-07. 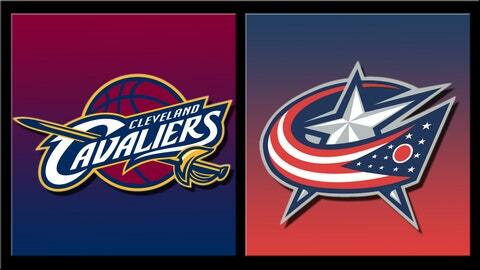 These teams were Central Division rivals then before the Blue Jackets moved in 2013-14. The Blues rallied from two goals down for a 4-3 victory at Columbus on Dec. 14, as David Backes scored in overtime. Vladimir Tarasenko had two goals for St. Louis. Bobrovsky missed that game with a groin injury that has kept him out since Dec. 3. He could start Saturday after going 1-3-0 with a 2.51 goals-against average last season against St. Louis during his Vezina Trophy-winning campaign. The Russian goalie will catch a break if Backes (upper body) and Alexander Steen (concussion) remain out for St. Louis. That duo has combined for 40 goals, with Backes more likely to return. The absences of its two top goal scorers didn’t slow down one of the league’s highest-scoring teams in Thursday’s 5-0 victory over Los Angeles. T.J. Oshie scored twice and Jaden Schwartz added an assist to give him six goals and three assists during a seven-game point streak. "You anticipate having injuries and you don’t expect two of your top guys to be out but the younger guys are really stepping up and playing the way that we know they can," defenseman Barret Jackman said. "They’re playing hard each night and if they’re not on the scoresheet, they’re doing great things defensively." The U.S. Olympian Oshie put on a show by scoring twice in a 91-second span in front of Brian Burke, Director of Player Personnel for USA hockey. "This was a great team win," Oshie said. "I got two of them, but they could have easily gone to someone else on my line. This was a strong all-around effort." Brian Elliott made 30 saves for his third shutout to improve to 6-0-1 with a 1.40 GAA in his last seven starts. Elliott is 5-0-1 with a 1.97 GAA against Columbus. Jaroslav Halak is expected to back up Elliott on Saturday after facing the Blue Jackets last month. Columbus also enters after posting a shutout, 2-0 at Phoenix on Thursday. Curtis McElhinney made 34 saves for his second shutout although he may give way to Bobrovsky in this one. The bigger story was Nathan Horton’s club debut after the forward missed the 2013 part of the season due to shoulder surgery. Horton, signed to a seven-year deal worth $37.1 million in the offseason, scored in his first action since Game 6 of last year’s Stanley Cup finals with Boston. "I had so much fun out there," Horton said. "It’s so exciting to be back." The Blue Jackets will be without forward Derek MacKenzie, who received a three-game suspension for boarding Coyotes defenseman Oliver Ekman-Larsson. Horton’s former Florida teammate, defenseman Jordan Leopold, will likely see his first action since Nov. 7 for St. Louis. Leopold was out due to hand surgery.